When I was kid growing up in the North East Victoria the main industry was tobacco growing followed by the timber industry and then various types of farming. There were a few wineries around but not a huge number. Now the tobacco is gone and it has been replaced by grapes. It seems every other former tobacco farm is now a vineyard. For punters like us visiting the area now looking for the taste of the grape it is almost like visiting Tuscany with the number of vineyards that have sprouted. 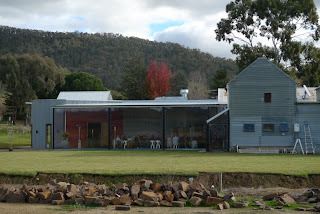 Today we went on a drive down the King Valley about 30 minutes or so from Beechworth to visit a few wineries. We went to a little town called Cheshunt near Whitfield. 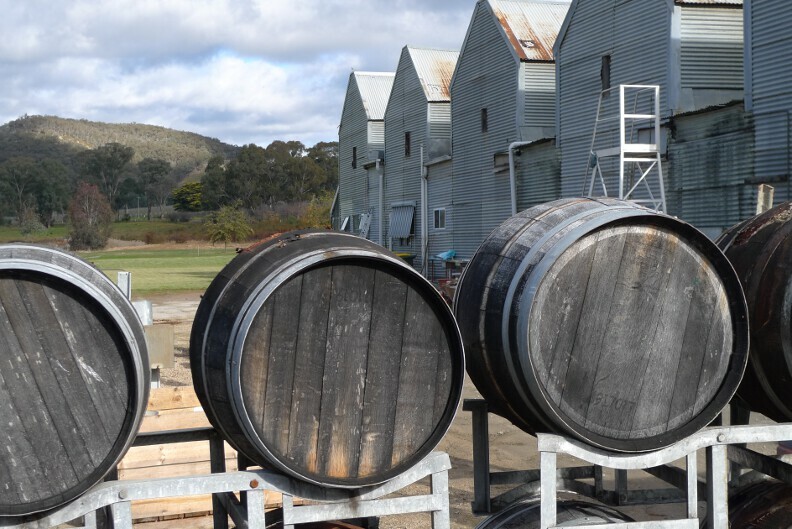 This long weekend the King Valley is celebrating their King Valley Fit for a King fiesta. 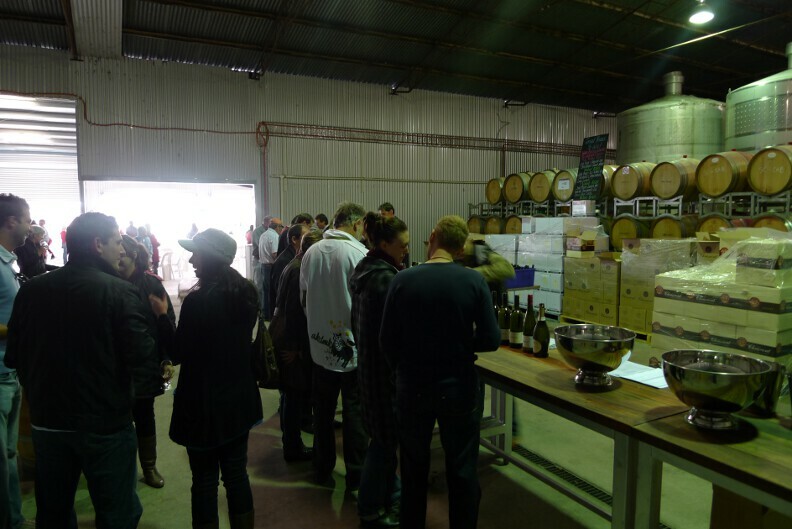 Participating wineries are putting on food and entertainment as well as wine tasting. When you get to your first participating winery you purchase an embossed wine glass for $15 and you're set for the day of tasting at all the participating wineries. 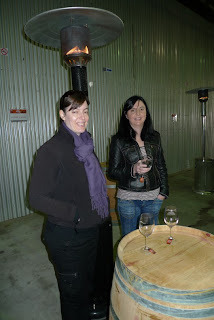 The first winery we visited was Chrismont. We started slowly and only bought a few bottles from here. After Chrismont it was only a 3 minute drive to Pizzini Wines. Nearly all the wineries in the region were former tobacco farms and the former tobacco curing sheds were converted into storage, wine cellars, restaurants and accommodation. Pizzini is a perfect example of this reinvention (see pictures below). Pizzini also make a top drop. Not just one in fact. They have a number of delicious wines including, in my humble opinion anyway, the Sangiovese, the Nebbiolo and the El Barone. We ended up getting a couple of cases here. We may have to dump our luggage to get the booze home. You mightn't think so but it is tiring work sippin' and spittin' wine all day so our next winery was the last for the day. Dal Zotto Wines was only 2 minutes away from Pizzini. We only made a quick stop but we still managed to snag another half dozen bottles of plonk. More Sangiovese. I think I like these Italian varietals.